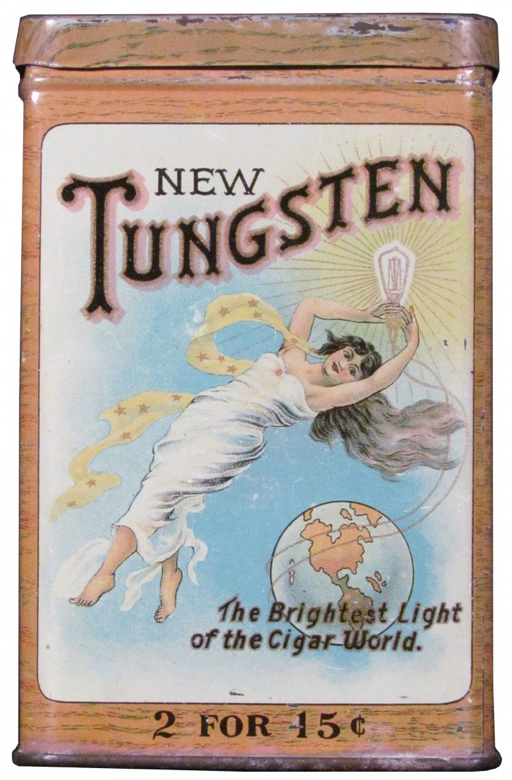 Description: “New Tungsten, The brightest light of the cigar world” “2 for 15 cents” Tin features lovely artwork of an angel holding a light bulb above the world. Background of tin has a faux wood decoration. Manufacturer: Elwood Myers Company, Springfield, Ohio.